Dealing in agriculture land industrial land near vaitarna dam & nashik-mumbai highway ( gonde midc ) dam view & dam touch property for farm house agriculture land , industrial land , farm land etc working places : nashik-mumbai higwhay , trambakeshwar road , shirdi road , vaitarna dam location etc acre : 2 acre to 100 acre contact -rajendra patil-9923431747 thanks sadguru krupa property. 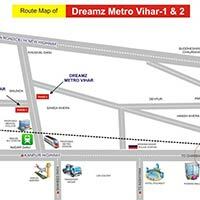 Land available for sale in Maunda Site Near Amousi in Lucknow . 500mts away from Satish Chandra mishra hospital • Rate: Rs.600/-Sqft. • No installment Plan is available. • Direct Registry. 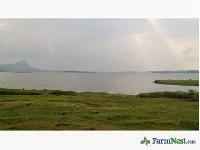 Dealing in Agriculture land Industrial land near vaitarna Dam & nashik-Mumbai Highway ( Gonde MIDC ) Dam View & Dam Touch Property for Farm house Agriculture land , Industrial land , farm land etc Working Places : Nashik-Mumbai Higwhay , Trambakeshwar Road , Shirdi Road , Vaitarna Dam location etc Acre : 2 Acre to 100 Acre Contact -Rajendra Patil- Thanks Sadguru krupa Property. 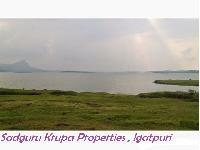 We are offering dealing in agriculture land industrial land near vaitarna dam & nashik-mumbai highway ( gonde midc ) dam view & dam touch property for farm house agriculture land , industrial land , farm land etc working places : nashik-mumbai higwhay , trambakeshwar road , shirdi road , vaitarna dam location etc ( igatpuri taluka ) acre : 2 acre to 100 acre.